HomeNewsTAPMI Bathed in Green following Go Green Clarion Call! TAPMI, as we call T.A.Pai Management Institute, is one of the leading management institutes of management in India. Started in 1984, it is located in the university town of Manipal. TAPMI holds many intra-collegiate events which are arguably the most fun-filled. In one such event, Full of colors (each team has a color of its own), this time we have 6 participating teams in the event. 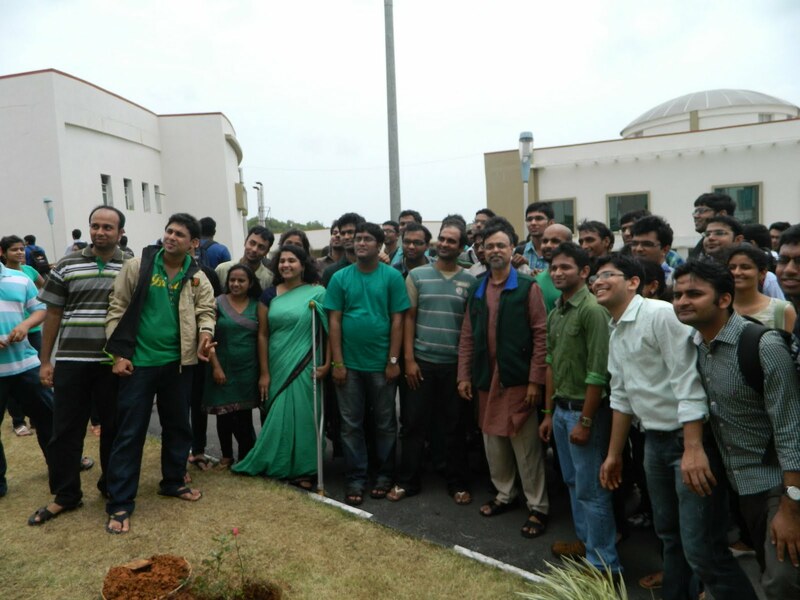 On 20 July, the Green team organized a Green Day in the campus. Prof. R.C. 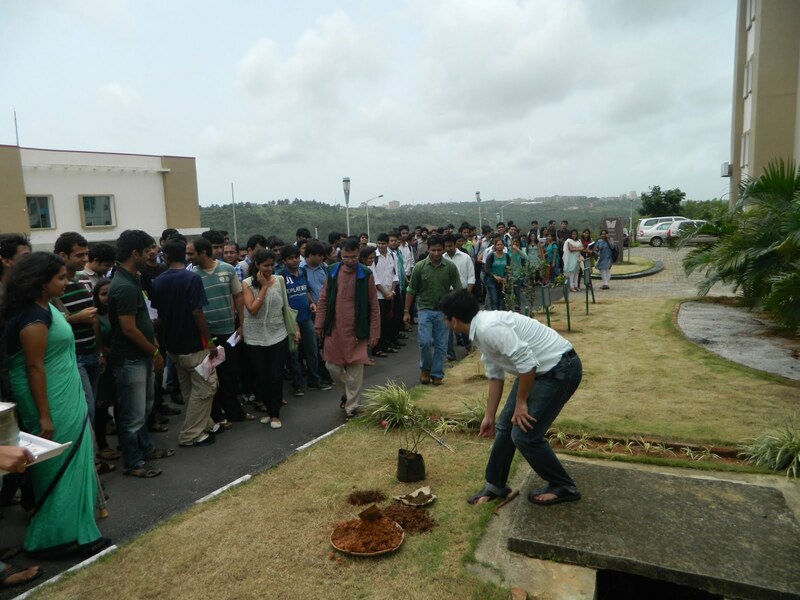 Natarajan ,a highly coveted professor and industry expert most graciously agreed to plant a sapling in front of the academic block. As all the junies (as we lovingly call our juniors..), dressed in green, watched, the professor planted a new sapling and watered it..and the flower swayed happily in the breeze that blew softly. The plant signified the importance of Greenery in our lives. The Prof then read out a pledge, which all the students gathered repeated, and promised to themselves in their minds.. The future of the planet is important to me. I understand how my actions can affect the quality of life of future generations. I also understand I can make a difference, and I am willing to do my part. I pledge to use the knowledge and skills that I have acquired to improve and sustain the natural world and resources around me thus save Mother Earth and conserve energy for a secure future! This article was mailed to us by Mr. Sandeep Nayak on 21st July 2011. He is studying Marketing at T.A. Pai Management Institute, Manipal.